RAI$E IT! 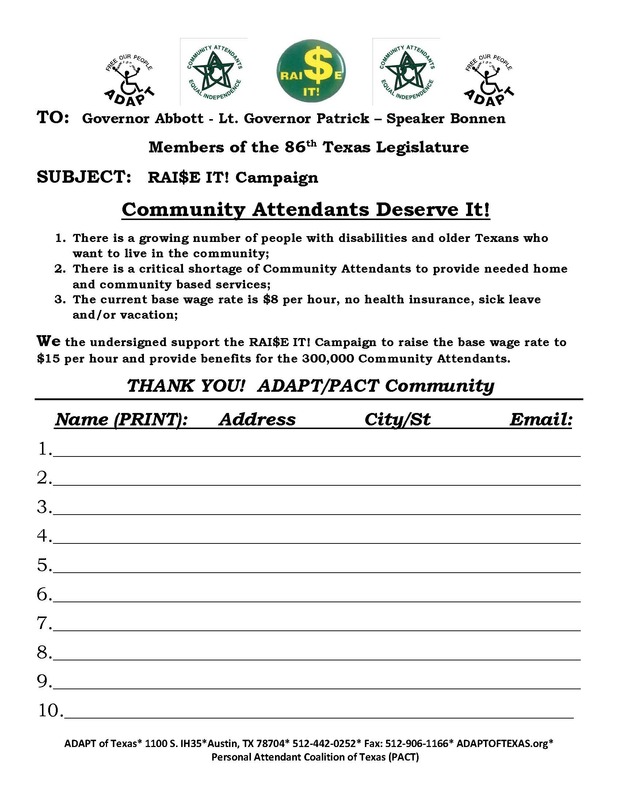 Is a campaign to raise the base wage rate to $15 per hour and provide benefits to community attendants.We are gathering signatures for the RAI$E IT! petition. Those signatures will be presented to Governor Abbot. Please join the effort by printing the petition and getting as many signatures you can from friends, family, and consumers. You can then send those to karyns@cbcil.org or bring them to our Main Office at 1537 Seventh Street. Click here for the petition.